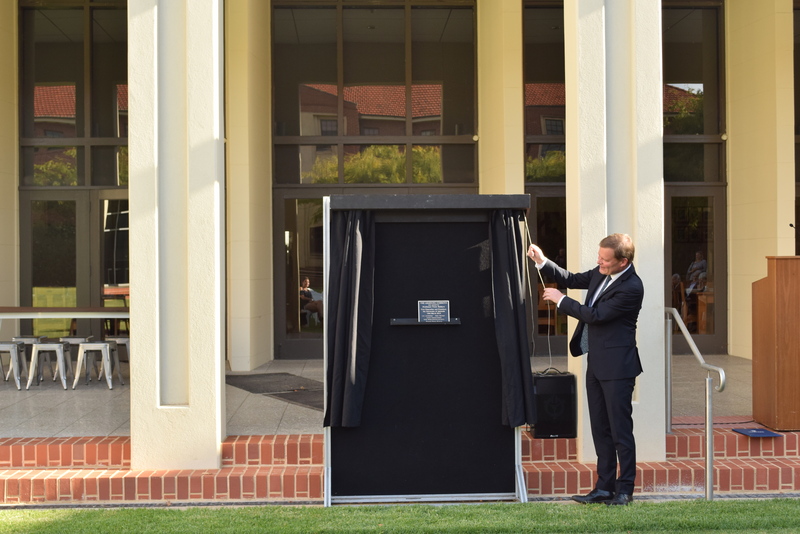 Opened by the Vice-Chancellor and President of the University of Adelaide, Prof Peter Rathjen, on 9th March 2019, The Learning Commons realises another piece of the College’s Master Plan: Towards a Complete and Completed College 2025, with a vision to improve the quality of student accommodation and increased numbers of learning spaces. 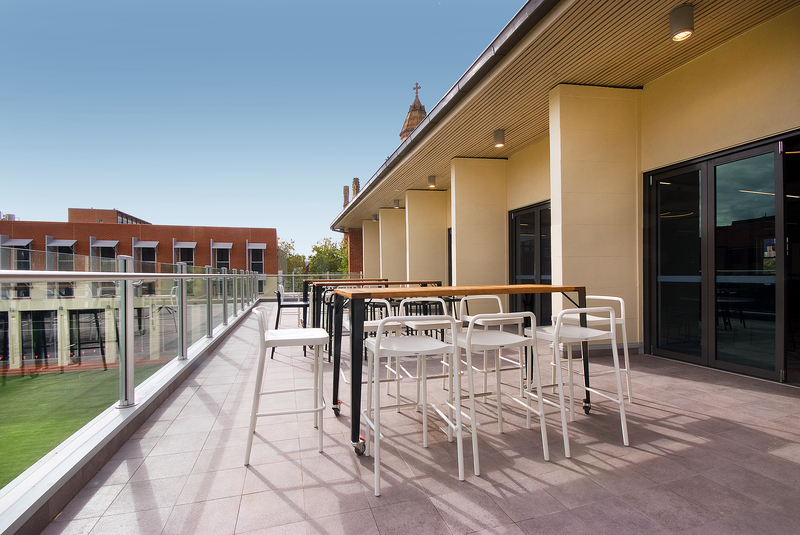 When the Grenfell Price Dining Hall opened in 1961, the first floor was temporarily subdivided into 15 student rooms to meet the growing demand for accommodation. In 1965, this space was converted into the College Library. Then with the construction of East Wing in 2015 the Library was relocated to a new modern and purpose-built space in the Ian and Pamela Wall Academic Centre. 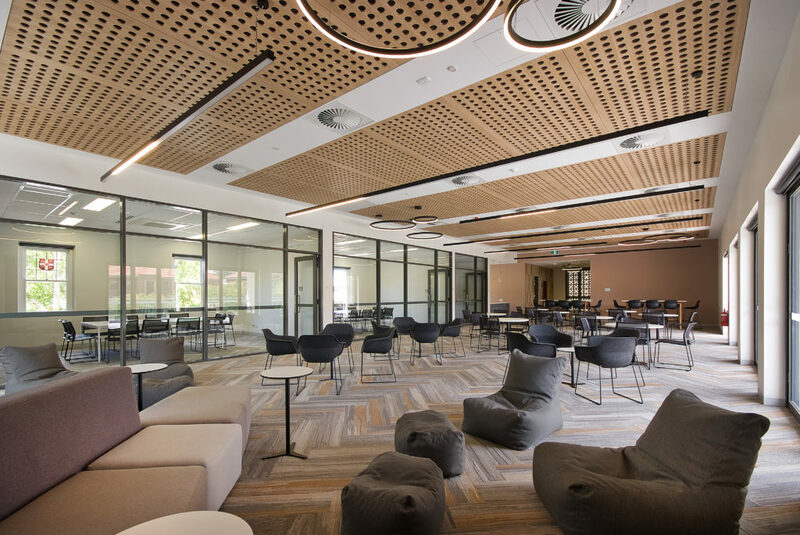 At the end of 2016, and with the dramatic increase in use of the Academic Centre, the Board examined the feasibility of developing this space to meet student demand, the increased tutorial support for students and additional space to be used for functions and events. 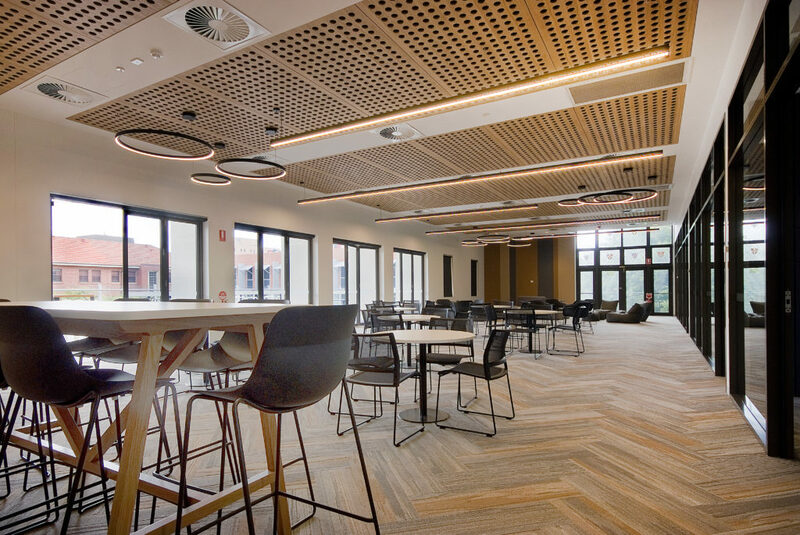 With plenty of natural light, flexible furniture and seminar rooms, The Learning Commons is a modern open space for students to study, collaborate, create and socialise.